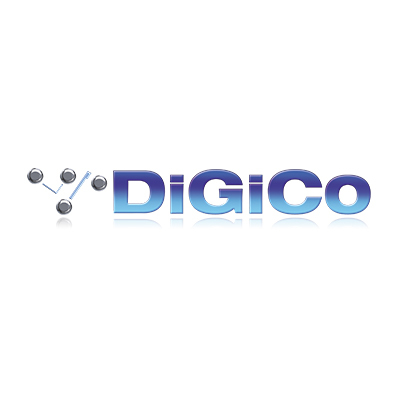 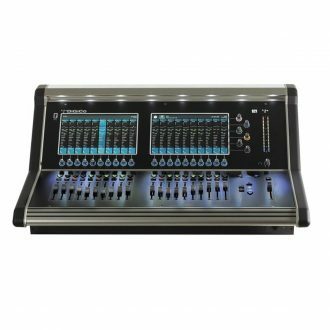 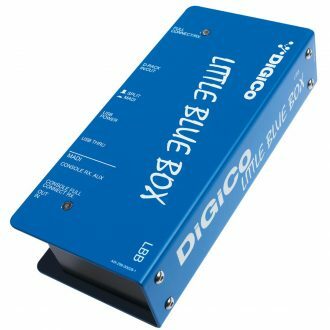 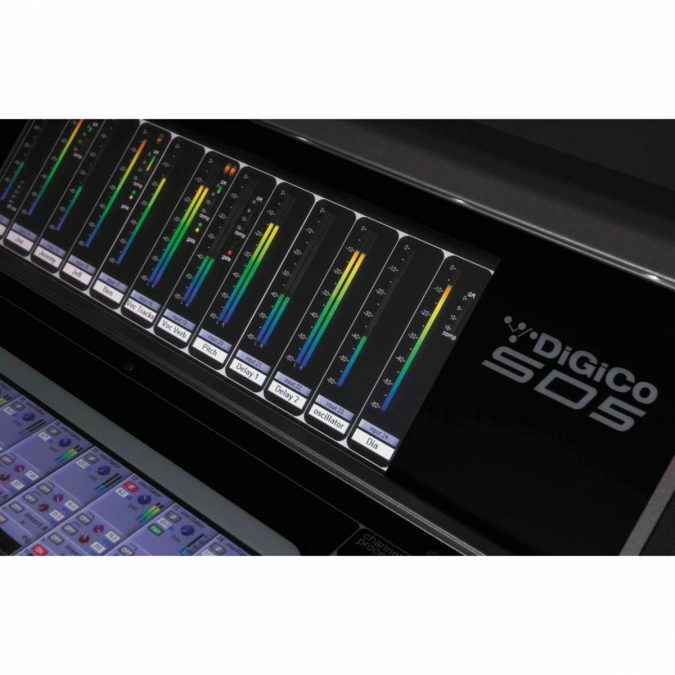 Having firmly established itself in the live arena, as with other consoles in the SD Series, British audio solutions manufacturer DiGiCo has now added a broadcast application specific extension which allows it to become the DiGiCo SD5B Control Surface, putting this processing powerhouse firmly in the broadcast arena. 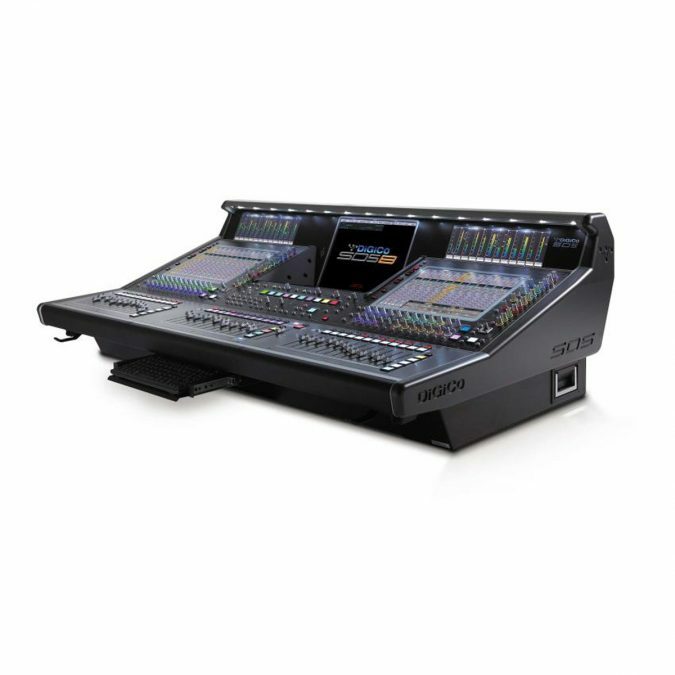 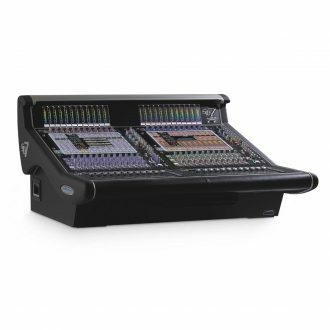 The SD5 fits directly into the shoes of the D5, the console manufacturer’s first digital mixing desk, but benefits from the advancements made possible by DiGiCo’s proprietary Stealth Digital Processing and floating point Super FPGA technology, which adds a host of new features and a much bigger punch. 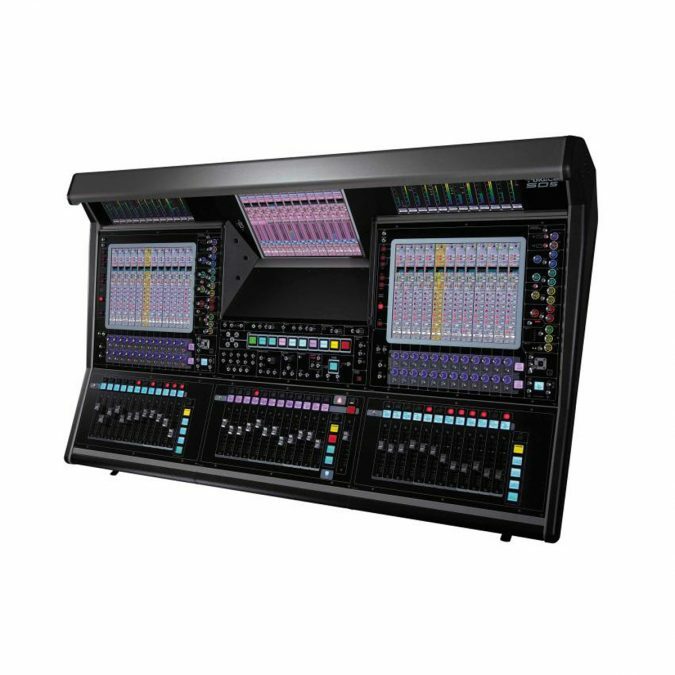 As with the SD5, the DiGiCo SD5B Control Surface’s worksurface is a low noise, heat dissipation worksurface benefiting from Hidden-til-lit (HTL) technology, yet its five digitally driven full colour TFT LCD screens, three of which are touch sensitive, have a new configuration that allows easy access to single or multiple users. 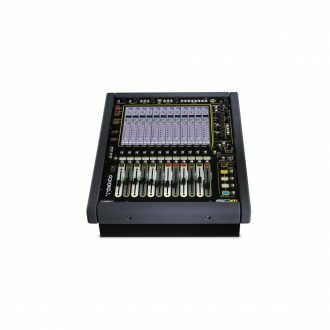 There are also two interactive dynamic metering displays (IDM) and quick access buttons are positioned down the left side of the channel screens for fast and easy navigation. 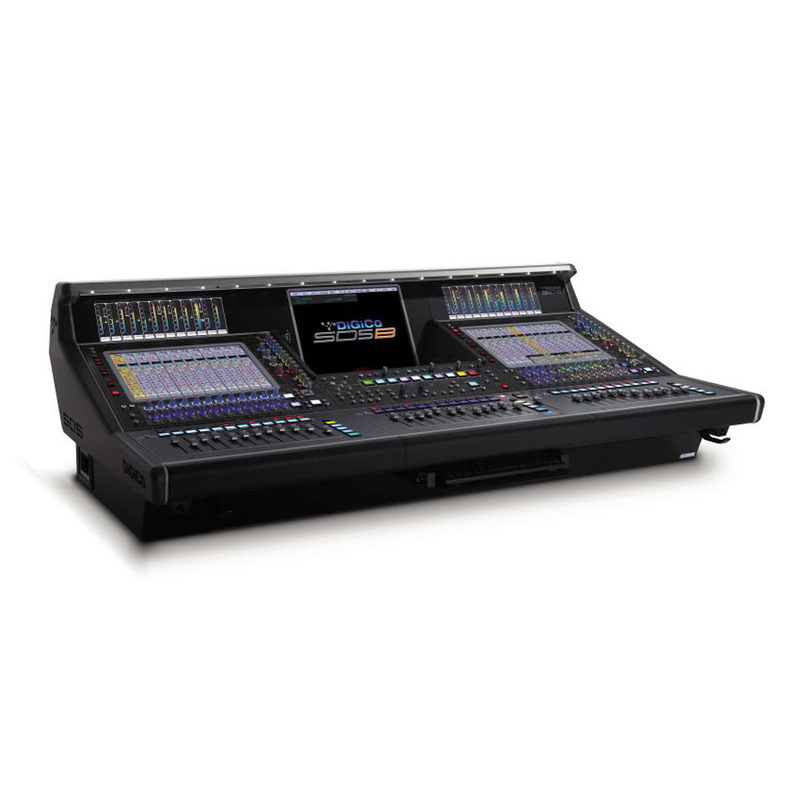 The DiGiCo SD5B Control Surface has up to 253 input channels; up to 124 configurable busses, plus up to 5.1 master; a 24 x 24 fixed matrix; DiGiTubes on every channel, buss and output; 253 assignable Dynamic EQ; 253 multiband compressors; 48 stereo effects; 32 Graphic EQ; 10 x 4 (40) RGB backlit macro buttons; plus the ability to add a Waves upgrade. 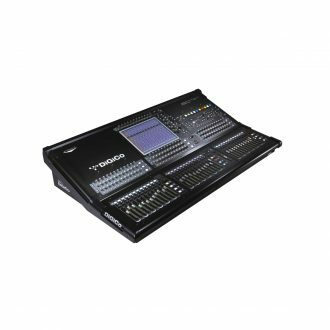 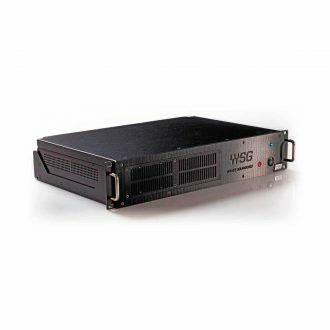 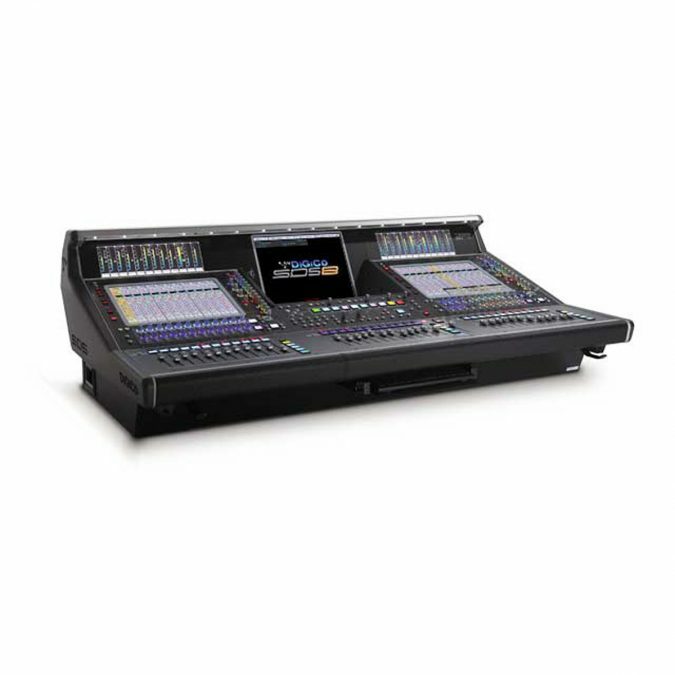 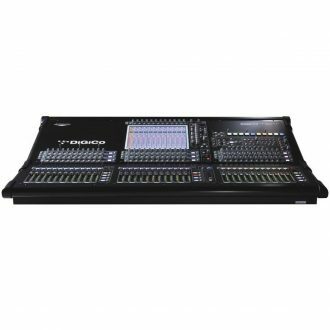 For broadcast applications, the DiGiCo SD5B Control Surface also includes dual solo busses for PFL and on-air soloing in mono, stereo LCRS and 5.1 and an LR/LCR/LCRS/5.1 Master buss.